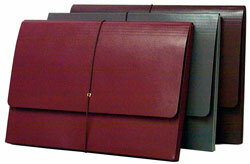 Enhance your associates' professional image by using our Executive Wallets! Minimum of 20% post consumer recycled content. Interested in customization? Franklin Mills can gold or silver foil print your logo (minimum of 50) Call for Frankin Mills for personal assistance in ordering at 1-888-678-4585.